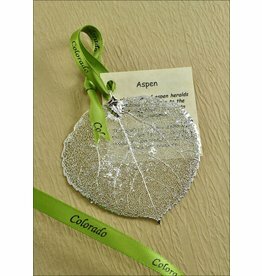 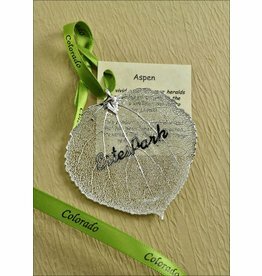 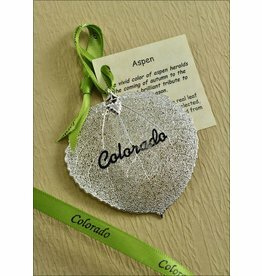 A real Aspen leaf dipped in silver. 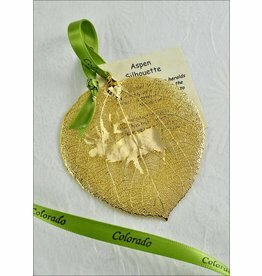 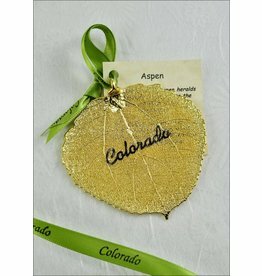 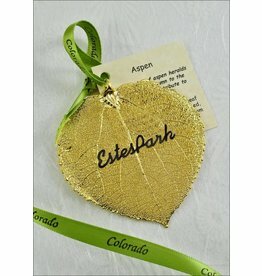 A real Aspen leaf dipped in gold. 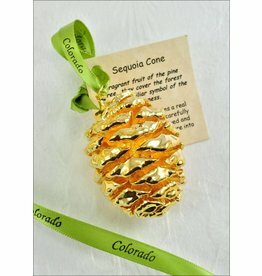 A real Sequoia pinecone dipped in gold. 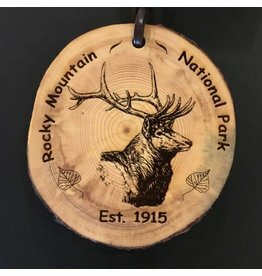 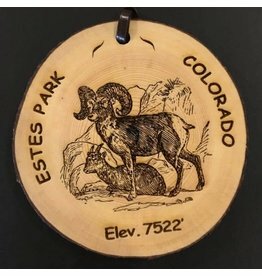 Live edge bark ornament made from beetle kill trees around Estes Park.